Last year, I presented myself with a reading challenge. After having so much mandatory reading assignments in college, I lost that natural desire to devour books that caught my eye at my own pace on my own time. For a while, I was reading maybe one or two books a year and well, that's pretty lame when you're always saying that you love to read. A lot of people like to give themselves heavy challenges like 100 books in a year, and I thought, hey, I can do that! Disclosure:As an Amazon Associate I earn from qualifying purchases through some of the links in this post. Thank you so much for supporting me! The Thirteenth Tale - I'm not a fan of gothic style literature. This book had so many references to Jane Eyre (which I pretty much loathe --- I know, hate me all you want), that it made me nauseous...nothing makes me more squeamish than a novel name-dropping another famous work to make their character look well-read. Especially when the name-dropping is over a book I could care less about. Mortal Instruments Series (City of Bones) - Hey, they were fun and fast, but then I read an article about how the author is a cyber bully and plagiarist, and I thought...geez lady, your books aren't really of any literary merit and now you have a movie deal? This is wrong on so many levels. I ended up returning the books. With successfully completing my original goal of reading 13 books in 2013, I decided to make this year's goal 14 books in 2014. You were super surprised by that one, right? I decided to pre-pick a few, and then slowly add to the list as I find or hear about books I might enjoy. A lot of times, I mourn the end of a really good book and when I go back to look at my list of what's next, I get really depressed/angry/irrational because there's no way any of those books will EVER top the experience I just went through, so I'll hunt and hunt for something similar to fill the void. I'm a total book rebounder. So far, I've picked 8 books to give me a head start. I've already finished Mindy Kaling's book and I'm halfway through Stardust. You'll see there's my predictable interwar novels on the list, along with some mysteries - I kind of have a thing for mystery novels ever since I read my first Agatha Christie book. Agatha has a way of doing that to people. A lot of people who know me will be surprised about Logan's Run, but the people who REALLY know me... like my mom, will totally get it, but I'll save that explanation for another day. *I listened to a free audio recording of The House of a Thousand Candles at Librivox. There's two recordings -- make sure you listen to Eric Leach's. His voice fits the personality of the protagonist in this book. My mother, upon my recommendation, downloaded the recording done by the woman and said it was boring. You can also download a free kindle version of this book at Amazon. Yes, it was awesome! Unfortunately, I was never paying attention when Tina Fey came on the scene, so I feel I missed out a lot...something a lot of friends tell me I need to correct ASAP. I've actually been VERY curious about The Fault in Our Stars. I've noticed the title popping up in a lot of places, and I think they're making a movie for it now. I almost did 25 books, but for me personally, I knew that would be pushing it a bit. I just recently started Mindy Kaling's book and I'm loving it. She is so funny. I have a BIG list of books to read, maybe too many. But, I'm anxious to see how many I can cross off my list this year. I just checked out your reading list on your blog. FINISH THOSE HARRY POTTER BOOKS girl!!! Redeeming Love is a fast read...I felt some things about it were a bit cheesy, but it keeps you entertained. It was a great book to go through when I was leading a small group of 10th grade girls...a creative way to see Bible parallels...with adult supervision ha. I had an awful temp job once where all I did was literally sort coupons into piles and count them. Audio books saved my life. Good luck with the book a month goals! i actually liked city of bones - but dang did she drag it out (seriously!!!) i'm only on book 5 out of the 7 and apprently she is releasing an 8th! i mean COME ON..finish the series already and have some closure! do you have a goodreads account?! i love it - i did a 50 book challenge last year and made it (and passed it!) i'm getting a slow start this year honestly! i'm loving your 2014 list! - wait..there were more than 3 books?! OMG I had no idea. And I will admit, I did enjoy reading them. I just feel guilty about reading about demons in a written-for-teen novel like...I could do better, but I CHOOSE TO INDULGE and love every second of it haha. - I do have a goodreads account! www.goodreads.com/prettylittleday Ignore my "currently reading" list -- Lots of started books that I lost or never finished reading, haha. I need to clean that mess up. - 50 books! YOU GO. I can't wait to get to that point. 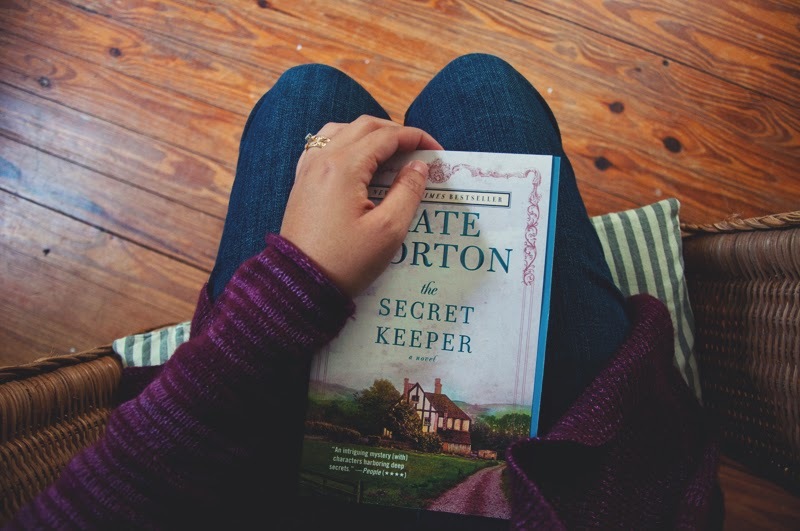 How many books do you plan to read this year? I ended up taking The Sandalwood Tree off. After reading more reviews, I realized that it might not be something I'll enjoy. I replaced it with a cookbook my mom just sent me for my birthday. I've never read a cookbook as you would a novel, but I'm literally obsessed with every page.